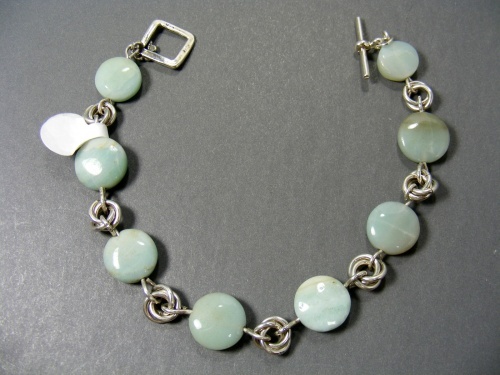 This elegant amazonite gemstone bracelet is soft looking and comfortable to wear. Interlocking rings of sterling silver connect the stones. Measures 8".